Is there a ‘whistle blower’ personality type? So many books try to expose bad behaviour and even worse practice but stop short of presenting specific examples. Despite the mass destruction to New Zealanders’ wealth that the financial sector has wrought, the avenues of redress that ordinary folk have are so woefully inadequate that justice and accountability remain elusive. This reality is something our regulators should be ashamed of and it requires urgent redress if the individuals behind the offending companies are to be stopped from once again performing their tricks with impunity on another generation of Kiwi saving suckers. These are laudable sentiments and aims, to be sure, so it’s a shame that something in the book appears to be ‘mistaken’. It seems likely the ‘victims’ of the ‘mistake’ have applied pressure to the publishers for this resolution, as this exercise is very expensive, and, in my experience, rarely triggered without good (legal) reasons. That’s just a hazard of the tell-it-like-you-see-it approach, which, to my slight chagrin at times, I also tend to suffer from. Australian filmmaker Stephen Ramsey read an article in Wired magazine about Asperger syndrome. He filled out the accompanying check list, which seemed to aptly fit him, and then went round the world in search of others who live their lives with Asperger syndrome. The film, Oops, Wrong Planet, is the result, and this week’s Our Changing World is the soundtrack from the film. Part of the documentary discusses whistle blowing. Stephen Ramsey interviews a former Sydney Detective who reported corruption in the NSW police. As they uncover, the detective has Asperger syndrome and simply could not — as so many others do — ‘turn a blind eye’ to dodgy goings on. She saw it, she saw it was wrong, she had to speak out, and to Hell with the consequences. 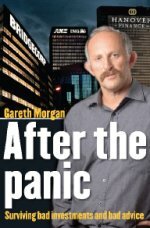 Gareth Morgan’s efforts to ‘root out the crooks’ and ‘give specific examples of bad behaviour’ are commendable, in my view. We need more straight talkers. Even if what they say is sometimes awkward or hard to respond to. Of course, any statements of fact they issue have to be right, and if he’s misstated something, it’s apt that he correct it. One of the authors I work with, Olly Newland, has a streak of this same pugnacious spirit. Neither of us claims to be perfect — a point lost on our critics — but in my experience of Olly, at times he can be one of the most thoughtful, courageous, straight-talking people I’ve met. And he doesn’t seem to mind turning the flame thrower on, even if it means he suffers a few blow-back burns himself. Like Gareth Morgan, Olly’s been prepared to say things as he sees them at times when the most likely response is to be shouted down, sometimes derisively. But time has a funny way of vindicating them both, whether their ‘pronouncements’ are always 100% right or not. It seems to me quite plausible that there is a personality characteristic or trait that allows/forces some of us to filter out the possible negative consequences of speaking out or being a loose cannon, and ‘just do it’. I haven’t asked either of these crusaders for input into this autism/Asperger whistle blower theory. Took a bit of finding but it’s here Our Changing World. It’s an interesting idea. The guy who rooted out Bernie Madoff would certainly qualify and there’s something perverse about the way I’ve outed yet another scammer even though I’m embroiled in the NBO dramas. Thanks for hunting out the link to the soundtrack of Oops. Wrong planet. Re your embroilment drama, I know from my own legal sagas (and observing the vilification of Aussie Neil Jenman) that the bully-boys huff and puff but DON’T want to get anywhere near a judge. That said, it’s a stressful business. Like the Sydney detective in the movie … it’s hard to turn a blind eye. More strength to you! 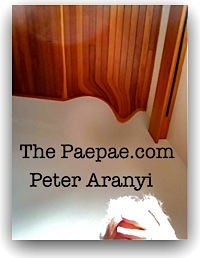 Did you cite my article “Is there a Whistleblower Personality?” If not I can send you a copy by email.